The Civet is a tree dwelling, nocturnal inhabitant of the Philippines’ mountain rainforests. The Civet is known as Motit in the Ilocano language and as Alamid in the Filipino language. In the Cordillera highland regions of the Philippines Civet coffee is called Motit coffee. In Tagalog areas, Civet coffee is called Tagalog Cafe Alamid (Alamid Cafe), or Kape Alamid. Where is Kape Alamid Sold in the Philippines? Sales of Kape Alamid are common in various shops around the Philippines’ major airports and also throughout the Philippines’ Batangas region. In the Philippines the Civet, which is classified scientifically as Paradoxorus Philippinensis, is considered by the government to be an endangered species. The Philippine government also considers the Liberica coffee plant, which is grown to feed the Civets, to be an endangered species. By working with private foundations, the Philippine government works to preserve both the coffee species as well as the Civet. After the Civets eat the coffee fruit off the coffee trees they digest most of the outer fruit and then defecate the beans which are gathered up and washesd, sun-dried, and lightly roasted resulting in the famous Civet coffee. Also see Bantai Civet Coffee and Arengga Civet Coffee. For tips on brewing the perfect cup of Civet coffee see our section on Brewing Civet Coffee and also our main section on Coffee Brewing. 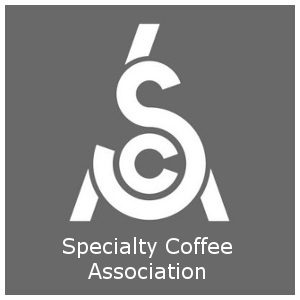 You can also read the Espresso Coffee Guide’s detailed coffee flavor profiles of Specialty Coffees from all around the world, and easy-to-follow instructions on preparing tasty Espresso Drinks. For detailed definitions of coffee terminology see the Coffee Terms, and learn about coffee’s rich past in the World’s Best History of Coffee.